The instructional program for the second year of the DVM program is mainly concerned with the pathophysiology of specific disease entities as they affect organs in various systems of the body. 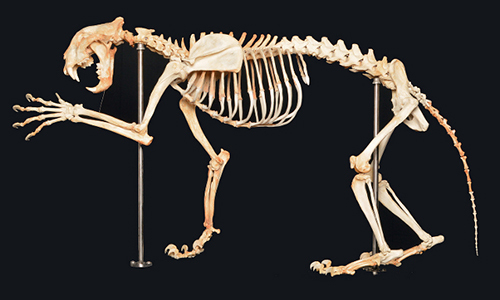 In these courses, students relate the morphological and physiological manifestations of a specific disease to the functional abnormalities they cause in a particular body system. In addition, the second year introduces students to clinical and imaging topics. 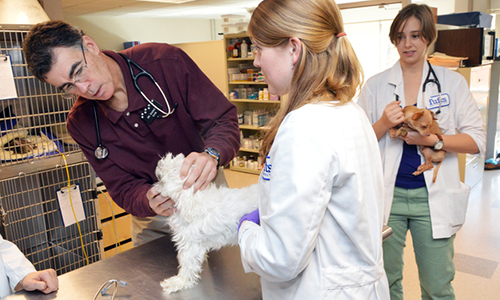 Clinical Skills II introduces students to basic physical examination and diagnostic procedures for all species. During much of the third year, students integrate the pathophysiological aspects of specific diseases learned in the second year with a comprehensive discussion of the presenting clinical signs, diagnostic criteria and the treatment of these entities. 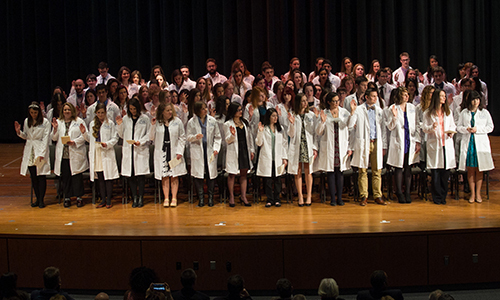 Thus, the third-year curriculum is designed to provide students with a sound basis in clinical medicine with emphasis on diagnosis, prognosis and management. 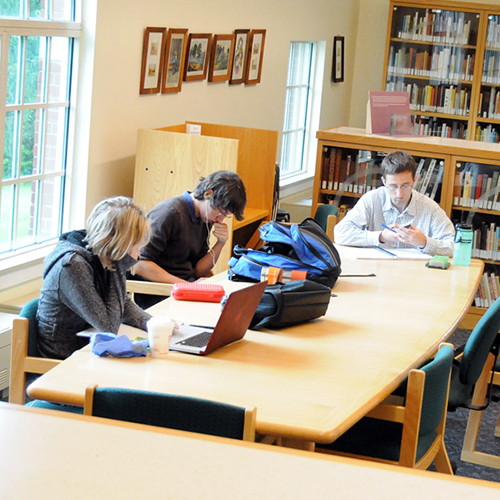 The third year culminates with a two-week period of advanced elective course offerings. By the beginning of the fourth year, all core didactic courses and some clinical rotations are completed. The student spends the entire year gaining further experience in clinical and other rotations. The core clinical rotation program utilizes the case method approach. Under supervision the student records case histories, performs physical examinations as well as diagnostic and surgical procedures, and learns to assume responsibility for treatment and case and client management. Students at Cummings School of Veterinary Medicine at Tufts University are encouraged to consider writing a thesis as part of their veterinary school experience. 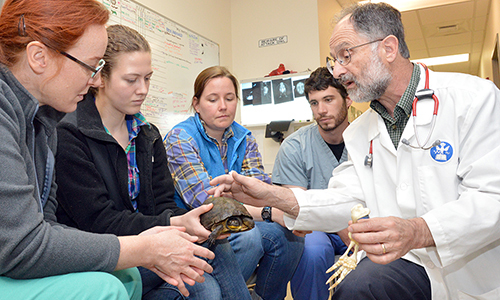 The program is voluntary and open to all Cummings School DVM students conducting research. Students whose summer research presentations on Student Research Day are deemed viable as a possible thesis will be invited by the chair of the Advanced Education Committee (AEC) through their mentor to participate in the program. Other students and their mentors can also request permission to submit a thesis. Students successfully completing a DVM with thesis will be acknowledged at graduation, and the notation of “DVM with THESIS” will be posted on their transcript.